Explore spaceships, and fix their engine rooms to complete your training and become a master spaceship repairman for the Mobility! It is the year 21XX. As space travel grows more and more mainstream, the fear for technical mishaps in spaceships increases. In response, The People Of Earth set up the Mobility, an on-call emergency spaceship repair service. It doesn't take long for the Mobility to acclaim a superhero-like status, and become highly regarded in every corner of the universe. One does not easily make it into the Mobility. Once you make it through the selection progress, you'll have to fix several spaceships before you are officially recruited. Scour the spaceships to find their server rooms, which contain a variety of platforms. You can fix any engine room by activating all platforms by landing on the top or sides of them. 25 levels over four spaceships, good for about an hour of gameplay to complete. Super minimalist art, with a user interface to match. Mobility, after two years of development has finally been released! You can get it here. Luke Steinmann made some fantastic music for this game, and it even supports soundtrack switching! You can grab it on Lukesteinmann.bandcamp.com as a pay-what-you-want soundtrack. Although I'm mostly done with the development of the game, if there's enough interest I'd like some help to translate the game into multiple languages. I will need to put in some effort to implement that into the game, and translate the game into Dutch myself, so I'll only do it if I can add at least two other new languages. I'm not sure if I can support non-latin languages or right-to-left ones, but I'll look into that if you email me. The story of the game has about 3300 words of text, and if you add all interface text, I predict the game has about 3800 words in English. And what kind of tools would be helpful for you to help streamline the translation process. Mobility has some cheats! I've already given out some hints in some channels. There's one hidden in the trailer somewhere, and another in the release email I sent out. You can enter cheats by pressing [Tab] on the title screen, and then entering the code. A little sound will play if the code is accepted. Good luck with discovering the codes! One of those codes is 'godmode'. Have fun playing around with it! 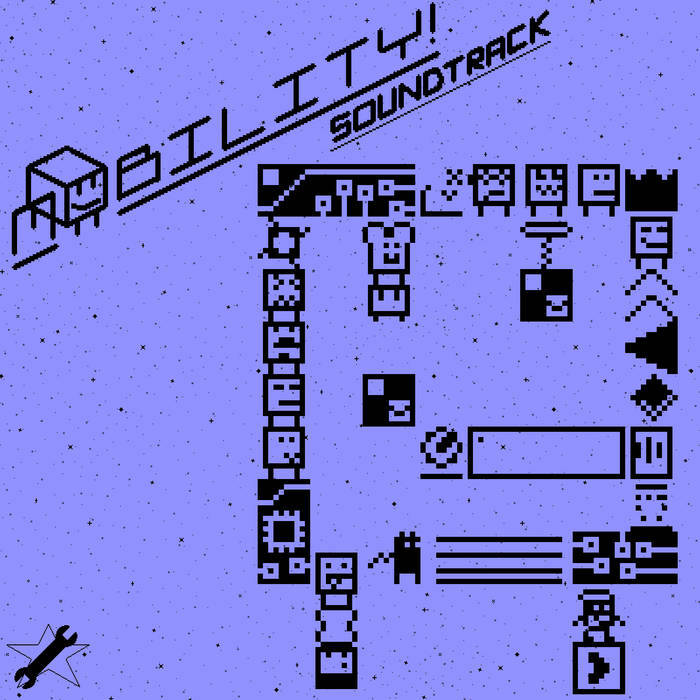 Mobility was my attempt to take an existing game genre and make it accessible to people who don't play those games a lot. Next time, I think I'll design a game for that audience right off the bat. I don't think I'll spend another two years making my next game, so I'll be making a lot of smaller and more experimental games from now on. That said, I do think making Mobility was an excellent journey. It is my most polished game so far, has a complete original soundtrack, with the development process recorded in the devlog, and I met most of my goals I set for this project. One more goal I still need to achieve is to make the actual release of the game a success, so please help me by sharing the game with people who might be interested in it. Thank you so much for reading, and enjoy the game! New levels, new difficulty mode, my basic translation system and a teaser for the game trailer. Widescreen support, Final boss almost finished! In which I share some bits about the final boss fight & changed the resolution of the game to widescreen. In which I describe how my progress on the final boss is, what my latest playtests have turned up, and show my new promotional art. In which I explain how the story will end (and why! ), and share the dumb bugs that were recently found and fixed in the game.